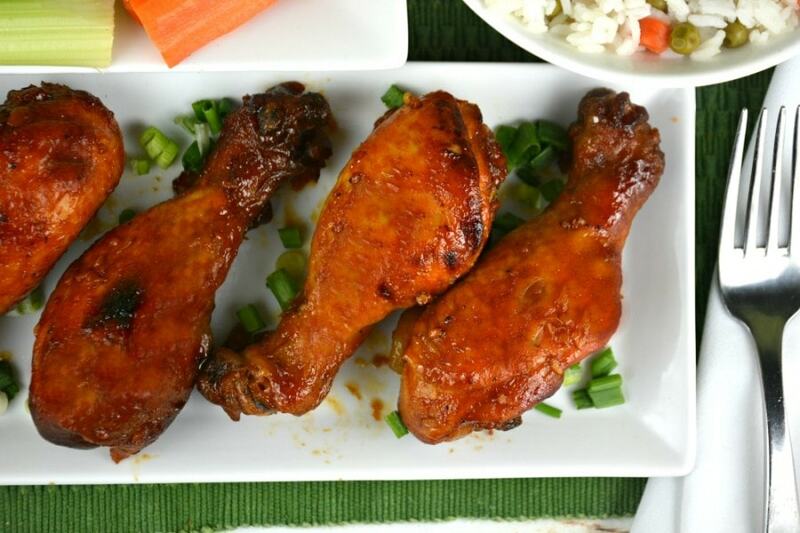 Slow Cooker Honey Barbecue Drumsticks are easy and fantastic with or without the honey. I love chicken with a little sweetness so I will always use honey, and Ken will usually just use barbecue sauce. Either way these drumsticks are delicious. I love using my slow cooker and making simple meals like this and recipes do not get any easier than this! You need to pick your favorite barbecue sauce and decide whether you want to use honey or not. You can always put some barbecue sauce into a measuring cup and add some honey, a little at a time, until it tastes just the way you like it! 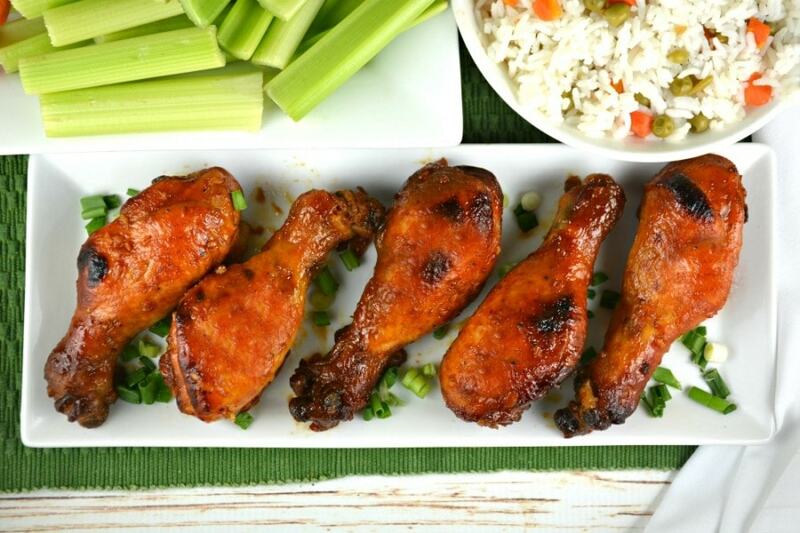 You also have the option of crisping up the outside of the drumsticks under the broiler, on the upper middle rack, before you serve these Slow Cooker Honey Barbecue Drumsticks. I love to! My best friend Julie puts them in the oven on 450 degrees for about five minutes on the middle rack. The tiny burn spots drive her crazy! That being said, you do have to keep an eye on these drumsticks while broiling them so they don’t burn. That’s why I don’t broil them from the highest possible rack position. I want the high heat to dry out the outside of the chicken. My husband likes these drumsticks both ways! The decision is up to you! We love drumsticks in our house. They taste just like chicken wings and have a lot more meat on them, that is for sure! 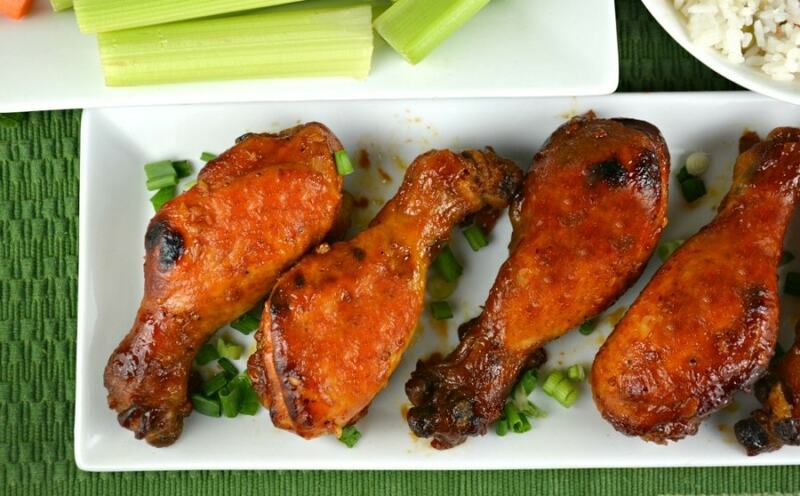 Below, I have listed some of our favorite drumstick recipes below! Hopefully you enjoy them as much as we do! If you have a moment, please check out our video below! It will show you exactly how these Slow Cooker Honey Barbecue Drumsticks are made. 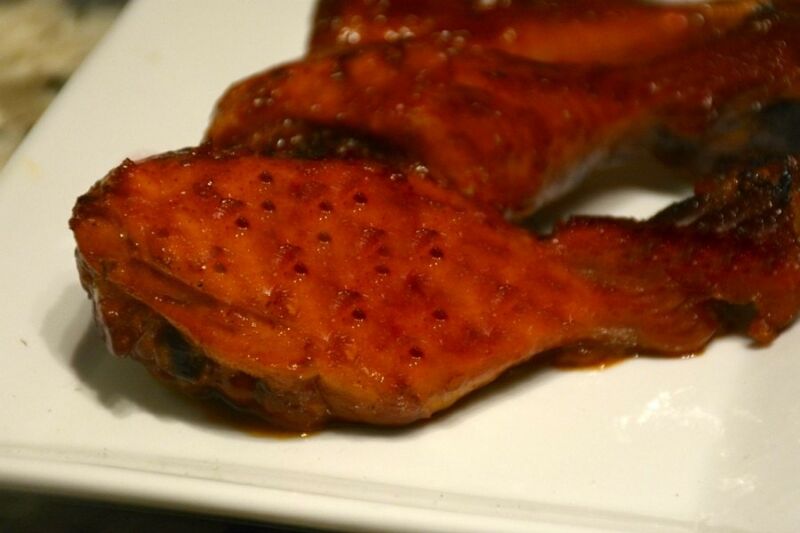 In the video we broil the drumsticks to crisp up the skin but you definitely don’t have to! Spray slow cooker with cooking spray. Place drumsticks inside. Evenly distribute them as best as possible. Cover and cook on LOW for 6-8 hours or until done. We also like to broil the drumsticks in the oven until the outside crisps right before serving. This next step is up to you. Turn your oven up to broil. Prepare a rimmed baking sheet with tinfoil and a rack lightly coated in cooking spray. Remove drumsticks with a large spoon or spatula. If you use tongs the meat is so tender it may fall right off the bone! Place drumsticks on your prepared rack. I put the oven rack at least 5 or 6 inches below the broiler so they don't burn. You will likely end up with a few dark spots though. I always do. I find the extreme high heat crisps up the outside of the drumsticks which makes them taste even better. I leave them in until dark spots start to show up. Usually just a few minutes. 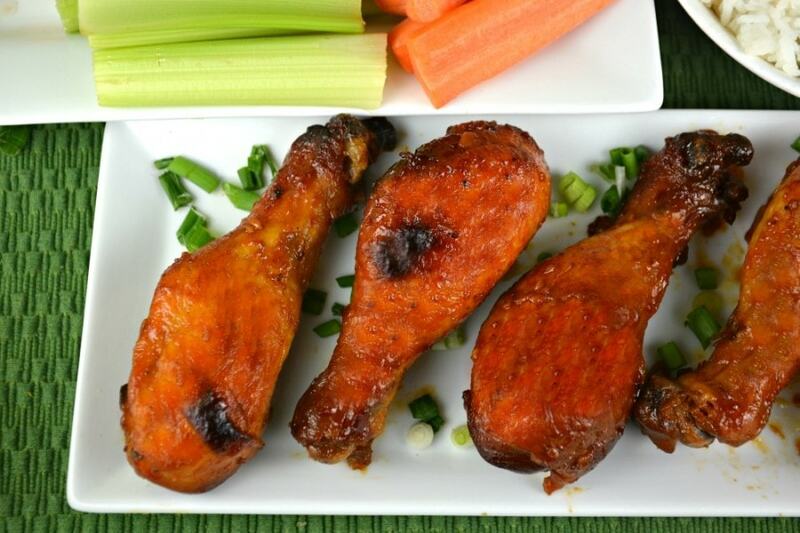 Do not leave them unattended, once these drumsticks start to burn they will burn fast! Serve and enjoy! An awesome dish I have ever seen it was really amazing. Really a mouth-watering dish which I have ever seen!